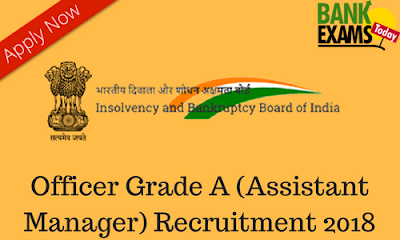 Insolvency and Bankruptcy Board of India(IBBI) has recently released the notification for Officer Grade A (Assistant Manager) posts. Note:- Candidates applying would be expected to be computer literate and conversant with MS Office, Word and Excel Applications. Pass in Limited Insolvency Examination. Higher Qualification than Essential Qualification. Two or more of the essential qualifications.